SeaWorld Parks & Entertainment is helping fund a breakthrough project in South London which may hold a vital key to saving threatened reefs thanks to support from the trade. The Horniman Museum and Gardens’ ‘Project Coral’ is a coral reproductive research project working with international partners to develop techniques to stimulate coral breeding, with great success so far. 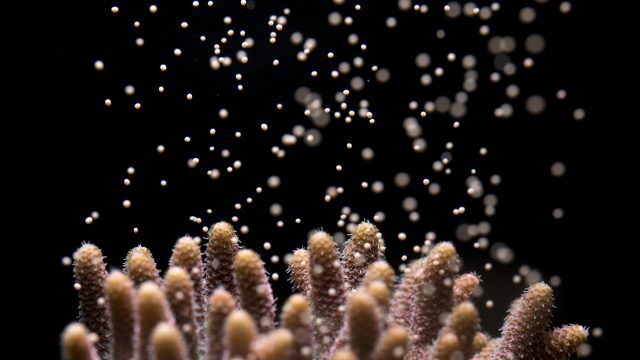 Project Coral was the first programme in the world to predictably induce broadcast coral spawning in a closed aquarium system, as well as carrying out the first successful in-vitro fertilisation of captive corals in the UK. This breakthrough – of creating protocols to control captive coral spawning – means that natural breeding patterns could in future be overridden and accelerated, supporting further coral research all over the world by opening up opportunities to examine the effects of climate change, aid restoration of the reefs and support sustainable livelihoods. This is just the latest project to be funded via SeaWorld Parks & Entertainment’s Fun 2 Fund initiative where $2 from every sale of SeaWorld Parks Extras, or in-park add ons, such as behind the scenes and VIP tours, animal up close encounter and dining packages, is donated to UK conservation charities.